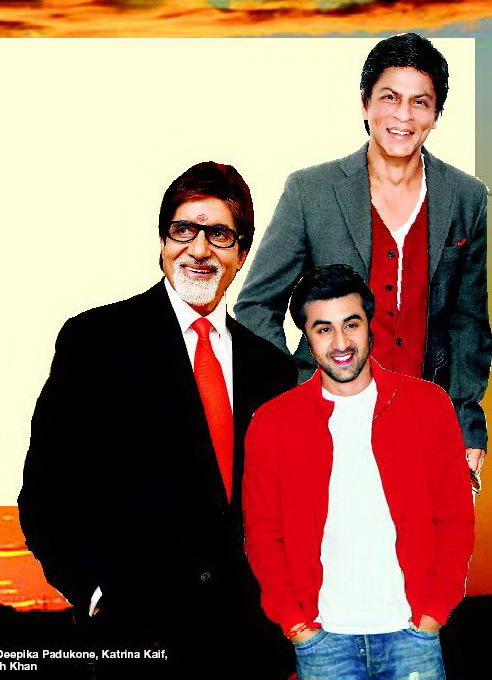 The much-hyped premiere of 3 Idiots promised what seemed impossible – bringing all the three Khans under one roof. Well, turns out that it actually is impossible. For while Salman Khan made a gamely appearance, Shah Rukh did not complete the picture of the happy Khan-daan. It was left up to an unchaperoned Karan Johar to pass on the good wishes for both of them. Amitabh Bachchan was missing in action as well, taking some of the sheen away from the big premiere. Of course, other stars showed up but many of them are associated with the film or with director Rajkumar Hirani’s earlier Munnabhai series. Aamir Khan, always the professional, played the courteous host despite the fact that he was running a high temperature. His doctor had visited him twice yesterday and his fever had hit a raging 103 degrees. Dressed in a Sabyasachi suit, he received the guests with the cast and the crew of 3 Idiots at a multiplex at Wadala, while his wife Kiran Rao stationed herself on the first floor near the screens. She was seen discussing the film with Chetan Bhagat. Bet he was trying to figure out which bits from his book finally made it to the film. Salman caused quit a stir when he appeared and had to be whisked away and he entered the venue from a different route. Kareena Kapoor, looking stunning in a saree, came in with a dapper-looking Saif Ali Khan. Mona Singh, who makes her debut with the film, was seen in a quiet corner with her father, keeping a low profile. Bhushan Kumar was heard saying that he had cancelled his family vacation for the premiere. Touching. Mansoor Khan was the self-appointed babysitter as he was seen loading up on the popcorn for Aamir’s kids Junaid and Ira. Reema, Aamir’s ex-wife, was also present. Sanjay Dutt came without his devoted wife Manyata, while a bearded Sonu Nigam decided it was better not to leave his better half at home.